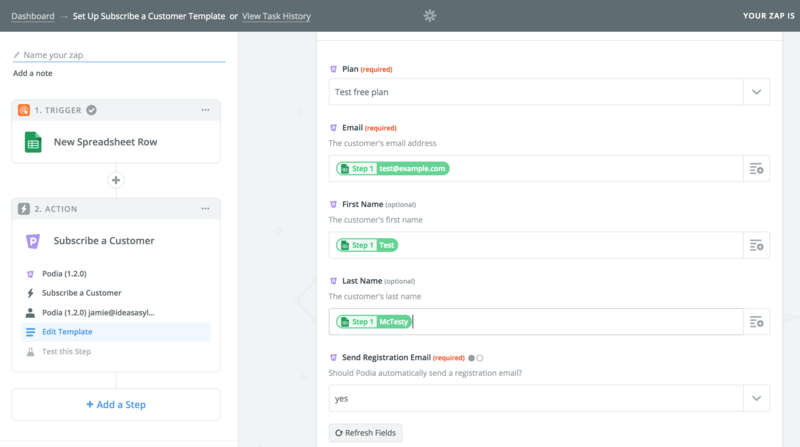 This is a beta feature. 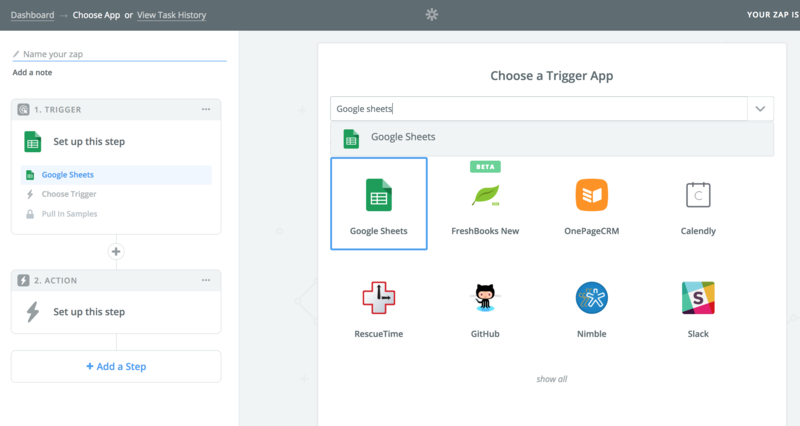 You'll need to click this link to use the new version (1.3) of our Zapier integration. 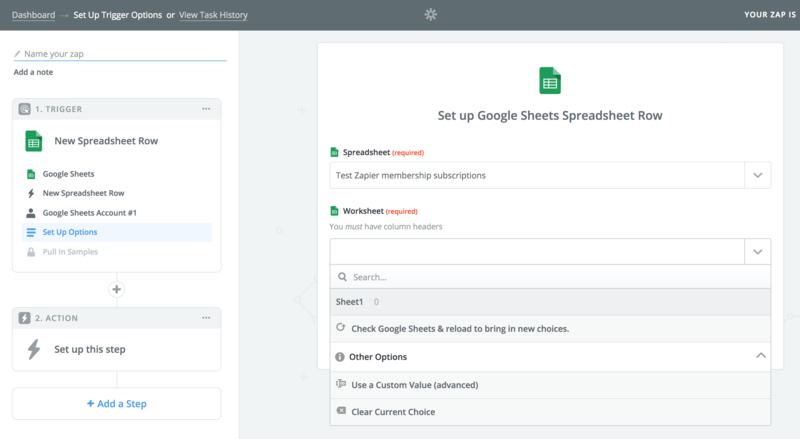 We're pretty confident there aren't any bugs but it hasn't yet been as battled-tested as our existing integration. 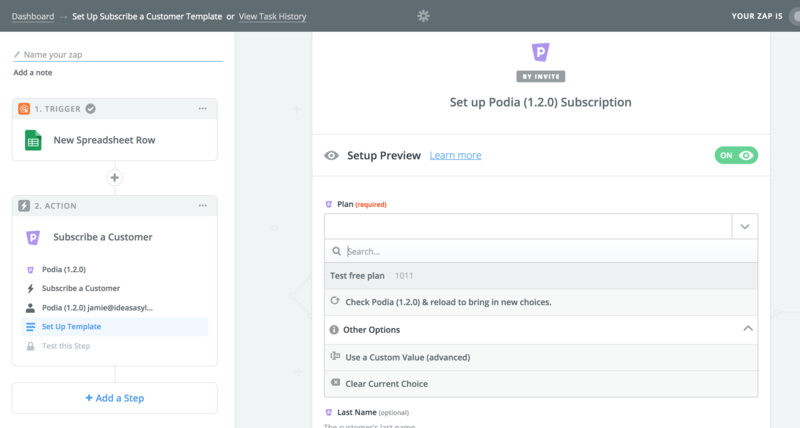 Only free membership plans can be used with the Zapier integration but they can be hidden from the Podia storefront if you don't want to make that plan public. 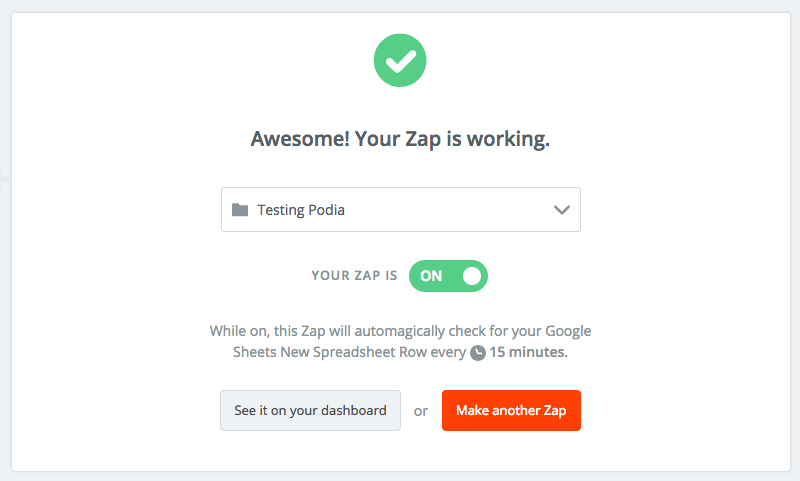 Here's a walkthrough of how to create a zap using Google Sheets and Podia. 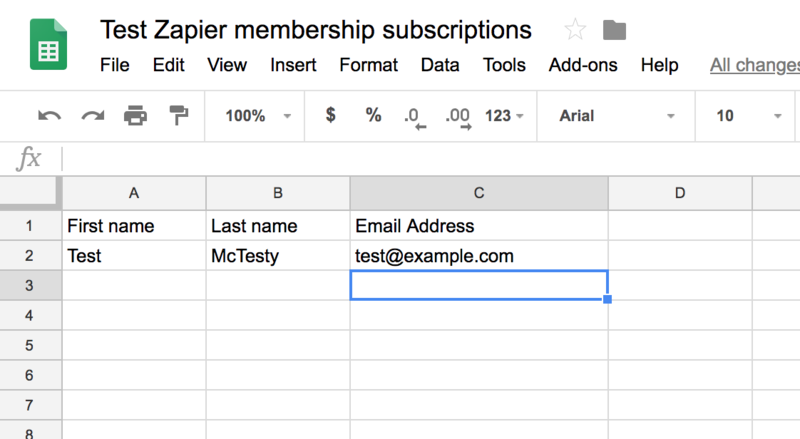 If you want to see an example shopping cart integration, check out our help doc on enrolling a customer in a product but instead of "Enroll a customer" choose "Subscribe a customer". 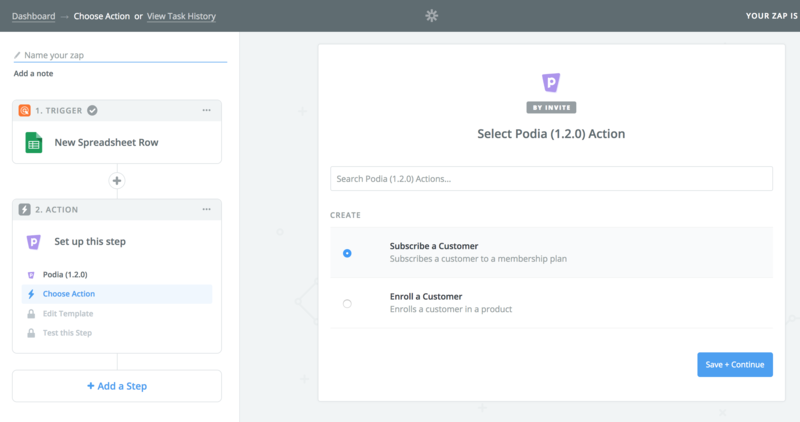 In this example, we'll create a zap which takes new rows of customer data from a spreadsheet and subscribes that customer to a free membership plan in Podia. 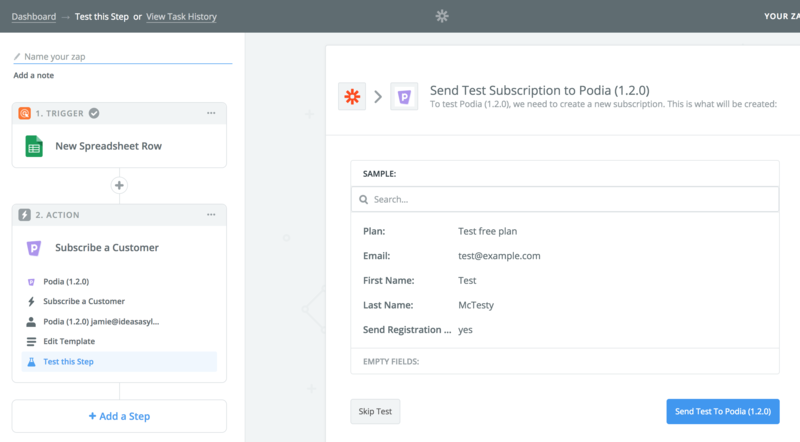 Choose whether the Podia should send the customer an email with their registration link. 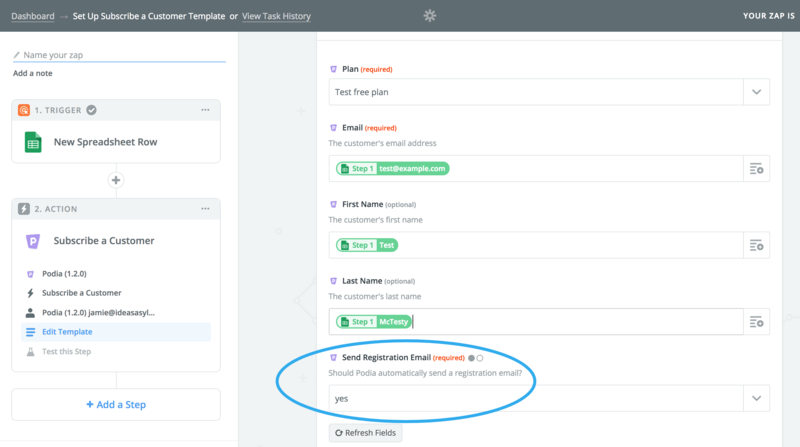 This should always be turned on unless you intend to create a subsequent step to email the customer yourself with their unique registration link. 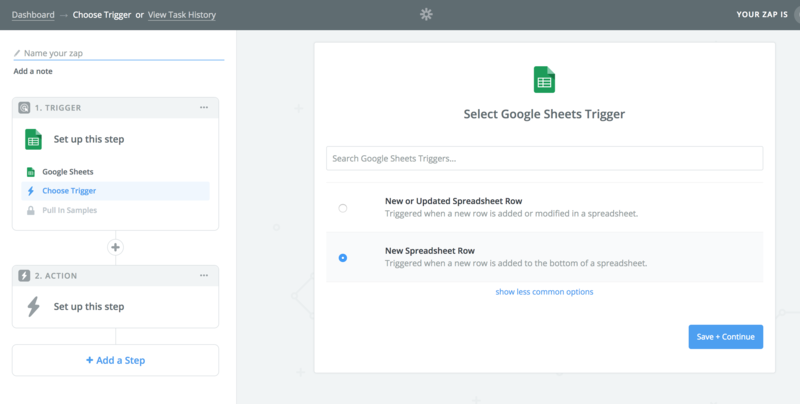 You may have to wait up to 15mins for Zapier's Google Sheet integration to check your spreadsheet changes and trigger your zap. 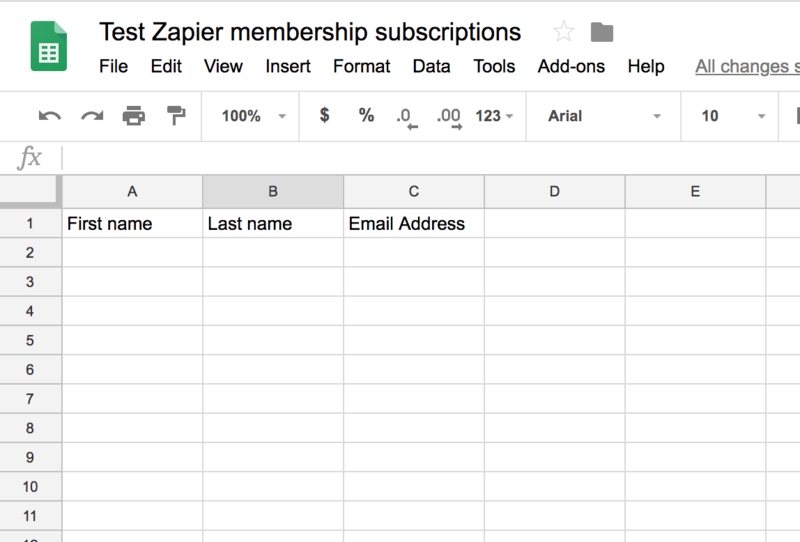 Once Zapier find a new row, it will add that customer to your membership plan.